The Groundnut is a pop-up / supper club that will be open for 6 nights - two sets of Thursday - Saturday - in July at the Lewisham Arthouse, SE14. Let's hope that there are many more to come! 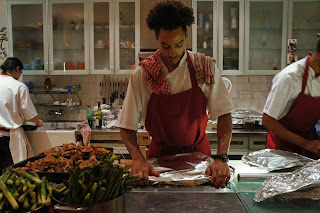 "THE GROUNDNUT is a project organised by Duval Timothy, Folayemi Brown and Jacob Fodio Todd – to draw attention to the food of our childhoods, especially our heritage in Western and Eastern Africa – while also exploring new ingredients, novel combinations and our takes on traditional recipes. We are pleased to announce our first pop-up dinner dates of 2013. 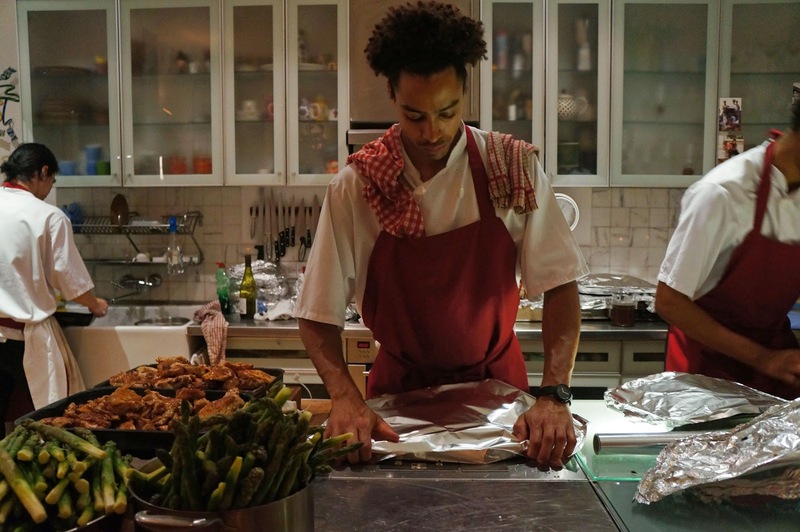 This time around the Groundnut dinners will be held at Lewisham Arthouse (New Cross), a beautiful location with a rich history, over two weeks in July (beginning at 7pm on Thursday 18 July - Saturday 20 July & Thursday 25 July - Saturday 27 July). Food is served banquet style. Tickets for the dinners are £30pp and advance purchase is essential. For tickets, more information or to see menus and pictures from past evenings visit thegroundnut.co.uk or contact us on thegroundnut@gmail.com." Tickets - £30 (incl. a cocktail and three course meal) from here. No BYOB.